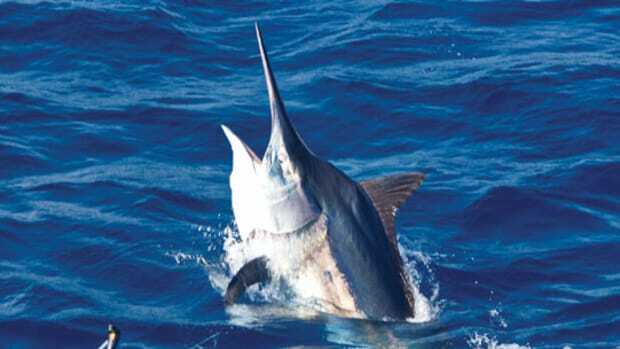 White marlin are often landed as incidental catch by longline fishing boats. It is now illegal to sell them commercially in the United States. 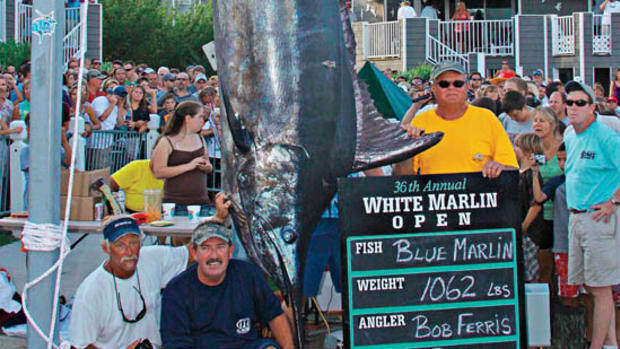 When it comes to the fate of the white marlin, there are battles being waged on many fronts. 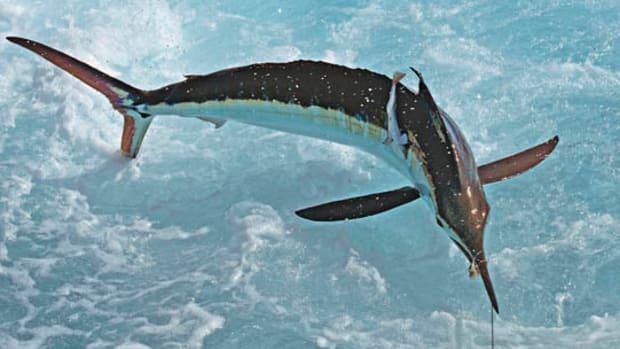 Not only is this migratory billfish species toiling to survive because of the commercial longlines that capture it as bycatch in the Atlantic, but there&apos;s also a sparring match taking place in the world&apos;s courtrooms over how to manage its declining stocks. The outcome of these investigations, stock assessments, and lawsuits will determine what the future holds for this pelagic game fish and the fishermen—both commercial and recreational—who catch it. Current stock assessments put the white marlin well below its maximum sustainable yield level, perhaps somewhere between five and ten percent of the biomass necessary to produce a healthy stock size. In light of such dramatic statistics, two U.S. environmental nonprofit organizations, The Center for Biological Diversity and the Turtle Island Restoration Network, filed a petition in 2001 that called for the white marlin to be protected under the Endangered Species Act (ESA). In 2004, after the National Marine Fisheries Service (NMFS) engaged in a thorough review of the petition, it opted not to list the species as endangered. 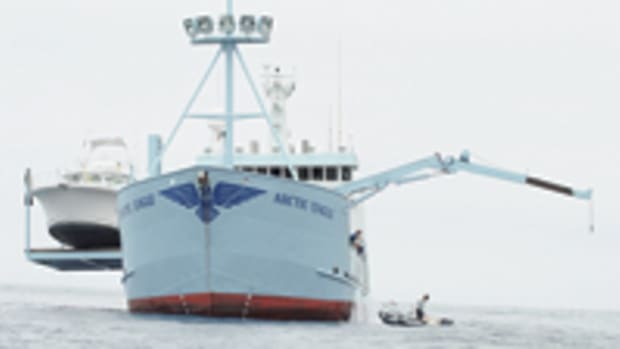 Deeply disappointed with that decision, the two groups filed a subsequent lawsuit against the NMFS in January 2004, challenging its decision. 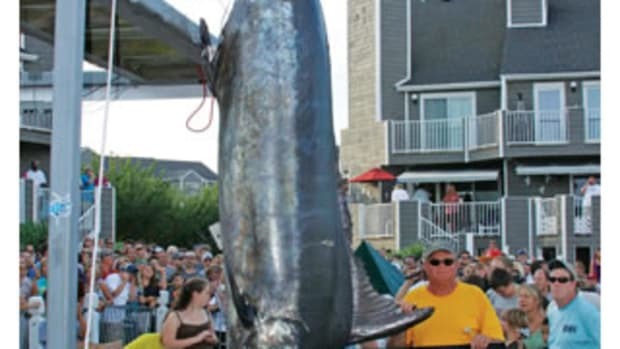 The following year a federal judge approved a settlement that required the NMFS to revisit whether or not the white marlin should be classified as either threatened or endangered under the ESA. In January 2008 the NMFS announced its decision not to list the species as endangered or threatened. It remains to be seen if another petition will be filed, though it&apos;s likely that the situation will continue to be fraught with tension among the many parties involved. What&apos;s more, the role of the ESA in white-marlin conservation, contentious as it is, is only a small part of a much larger international story. The overall management of white marlin has been handled by the International Commission for the Conservation of Atlantic Tunas (ICCAT) since 1999. The group consists of 45 member nations, many of which are called upon to report white-marlin landings. The most recent ICCAT stock assessment concluded in 2006, and less than a third of the nations that were required to submit their white-marlin landings actually did. According to Mike Leech, former president of the International Game Fishing Association and a conservation columnist, "A few countries reported a continued decline, and a few reported a slight improvement in stock levels." 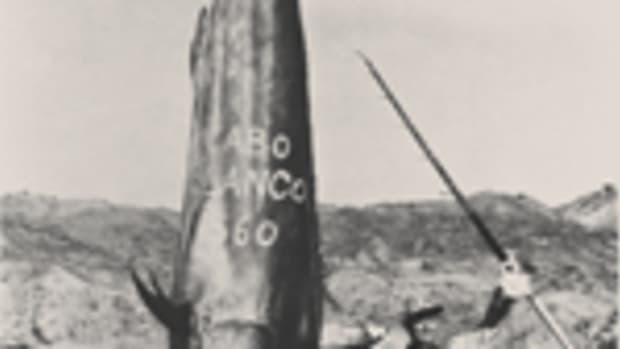 In an executive summary of the 2006 assessment issued by ICCAT, the organization states that certain confirmation of those abundance figures will require at least four to five years of additional data collection. In the meantime, ICCAT will continue with its current management measures, such as they are. And Leech believes that the NMFS will likely "take an optimistic view of those [ICCAT] numbers and not take drastic steps, like longline closures, to rebuild white-marlin levels." 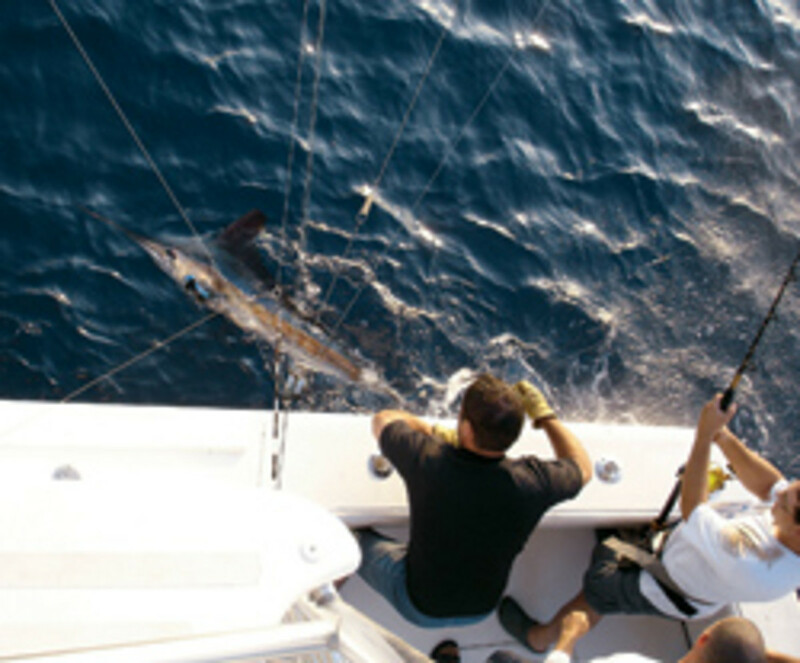 Recreational anglers are responsible for only a small fraction of the total number of marlin caught each year. One of the few assertions that isn&apos;t hotly contended when it comes to white-marlin conservation is that the major culprits in declining stocks are the commercial longliners that target tuna and swordfish. However, that doesn&apos;t mean that the role of recreational saltwater anglers, minor though it may be, isn&apos;t being examined. 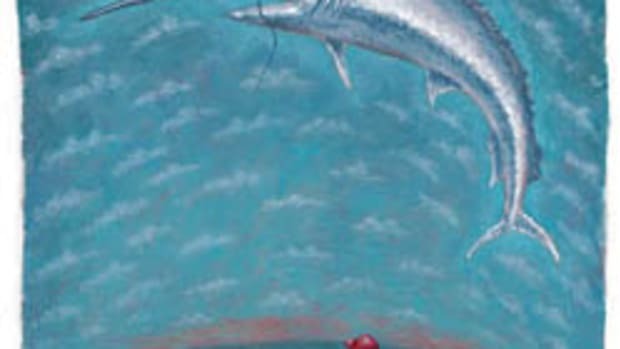 As of January 1 the NMFS requires that all participants in billfish tournaments on the East Coast, the Gulf of Mexico, and U.S. territories in the Caribbean use nonoffset circle hooks for live or dead bait. According to Jason Schratwieser, conservation director at the IGFA, "Circle hooks seriously limit the amount of bycatch in recreational and commercial fishing." 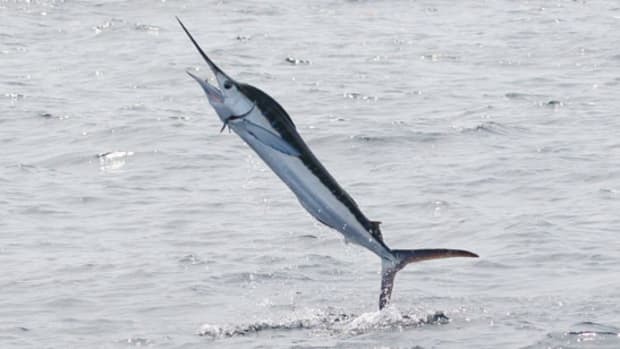 As opposed to more traditional J-hooks, which are often swallowed deep, circle hooks catch in the marlin&apos;s jaw and thus are more easily removed. 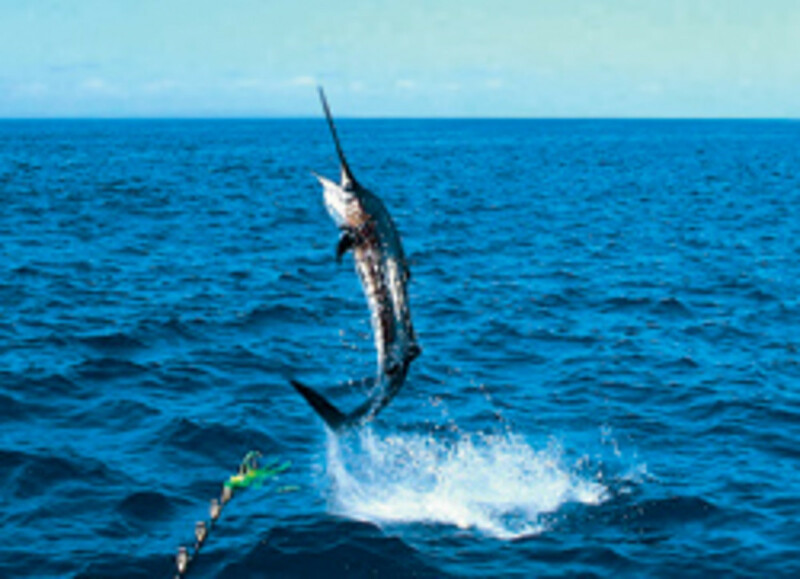 According to the National Coalition for Marine Conservation, "The use of nonoffset circle hooks, instead of J-hooks, reduces hooking mortality for released marlin...by around 66 percent and therefore could save hundreds if not thousands of billfish." While many of the recreational-fishing associations have supported the NMFS&apos;s decision to mandate the adoption of circle hooks in tournaments, many, including the Billfish Foundation and the Recreational Fishing Association, are opposed to the notion of classifying the species as endangered or threatened under the ESA. 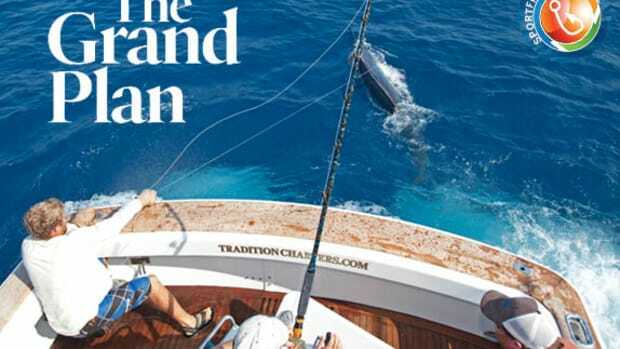 These organizations fear that such classification could result in strict legislation that would severely limit, if not eliminate, white-marlin angling in this country. Many recreational fishermen fear that protection under the ESA would strike a major blow to the saltwater-fishing industry, which, according to information from Southwick Associates and the U.S. Fish & Wildlife Service, generates more than $116 billion in economic output in the United States alone. If subsequent suits are filed and the white marlin does eventually fall under protection by the ESA, the specific practical implications of such a classification will depend on how the law is interpreted. In its strictest reading, the ESA renders the "taking" of endangered species unlawful. A rigid understanding of that language could allow the U.S. government to cease white-marlin angling altogether. However, Leech states it is equally likely, if not more so, that the ESA laws "won&apos;t have a major effect on recreational fishing." As an example he cites sea turtles, which have been protected under the ESA for years. In spite of this, longliners and recreational anglers are allowed to fish in areas that are hotspots for various sea-turtle species and even kill a certain number per year. Section 4(d) of the ESA directs NOAA Fisheries to issue acceptable "takes" for certain species. It is therefore possible that as long as anglers stay within those takes, they might be able to continue hosting white-marlin tournaments, even if the fish is listed as endangered or threatened. The road ahead for the white marlin is a difficult one. While the United States is at the forefront in championing the species&apos; conservation, its numbers are still well below the maximum sustainable yield level, both here and abroad. And while laws requiring the use of circle hooks in most U.S. tournaments might help in conservation, they don&apos;t target the major problem facing the white marlin: commercial longlines. As we wait to see what comes of the various suits and investigations currently taking place, let&apos;s hope that there is some light at the end of the tunnel for this majestic fish. Update: In early January the National Marine Fisheries Service opted not to list the white marlin as an endangered or threatened species.